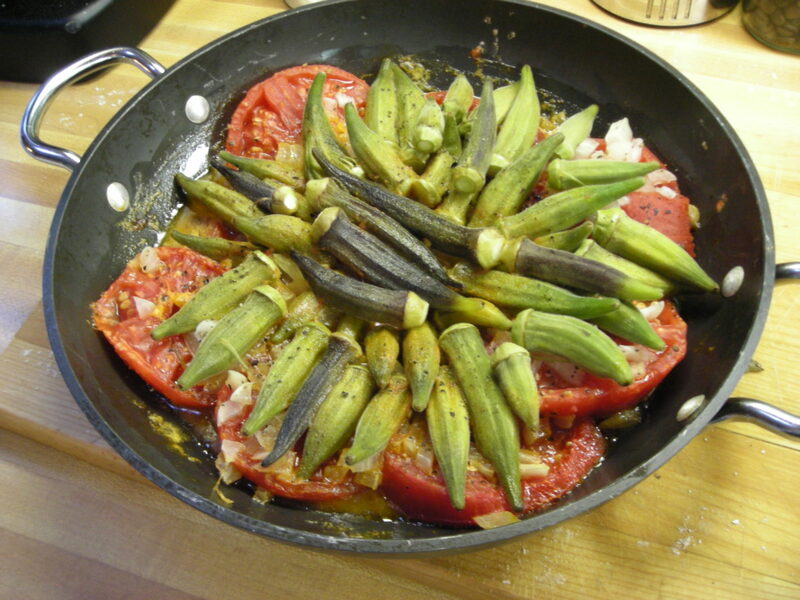 Take an equal quantity of each, let the okra be young, slice it, and skin the tomatas, put them in a pan without water, add a lump of butter, and onion chopped fine, some pepper and salt, and stew them one hour. 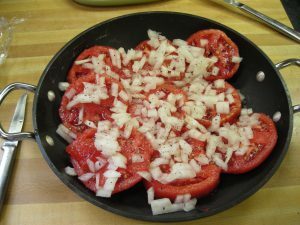 Gumbs – A West India Dish. 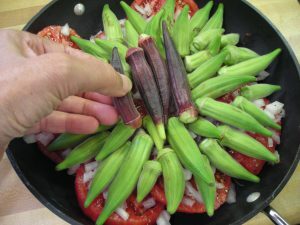 Gather young pods of okra, wash them clean, and put them in a pan with a little water, salt and pepper, stew them till tender, and serve them with melted butter. 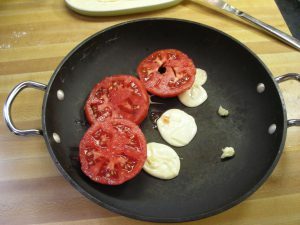 They are very nutricious and easy of digestion. 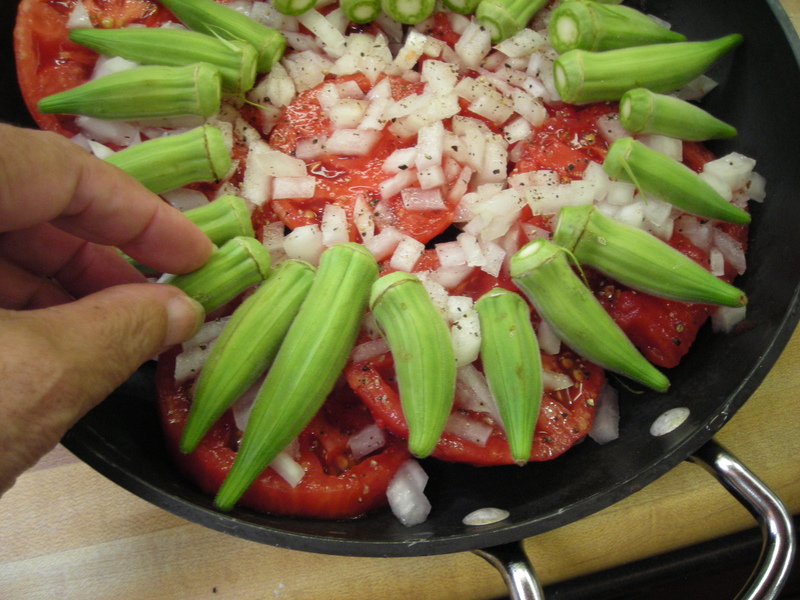 Just as Randolph recommends serving rice with her ochra soup recipe I recommend rice to accompany these dishes as well. For the much more complex okra soup recipe of Mary Randolph’s see Dining At Monticello: In Good Taste and Abundance, edited by Damon Lee Fowler, Thomas Jefferson Foundation 2005. Page 106.